Using a resource that can have such a powerful impact as coasters logoed with a message can really be an inexpensive way of boosting your sales. You may want to have several different coasters made that depict the different types of beverages that you offer or promotions you are offering. 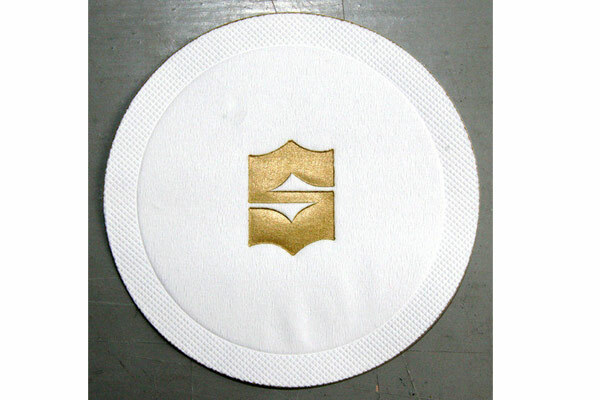 By having these drink coasters logoed with the best of your wine selection for example, you are immediately promoting this. Having the coasters placed on the tables along with the table setting creates an immediate visual presentation as soon as your patrons are seated. This will immediately deliver a marketing message to them. You can then reinforce this choice when giving your customers the wine list. You can make another approach with the drink coasters by educating your servers to point out the offering on the coaster when she puts them on the table and is asking the customer what they would like to drink. Using this method gives you the opportunity to market your drink both through the visual presentation of the custom logoed coasters, as well as with the verbal presentation of the server. It also acts as a reminder for the server as to which beverage should be promoted at the time.